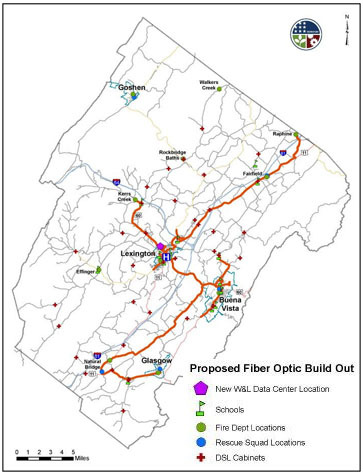 We last reported on Arlington County, Virginia, in the summer of 2012 when they were into phase II of their publicly owned fiber network deployment. At the time, the community planned to use the dark fiber network for public schools, traffic management, and public safety. That plan will now include local businesses. Additionally, the County will work directly with property owners and various businesses to ensure they have the opportunity for this high-speed and secure fiber line via direct access to buildings. Arlington universities, research centers, government buildings and Federal agencies will also be connected – providing additional collaboration opportunities at unprecedented levels of speed and security. When the Arlington County government developed the network, they installed additional conduit for future use. A public safety initiative to connect several radio towers allowed ConnectArlington to expand the anticipated footprint. An Intelligent Traffic System (ITS), funded with a federal grant, required street excavation so the county installed additional conduit and fiber. Arlington County also took advantage of an electric power grid upgrade, co-locating dark fiber along the grid placed by the local electric provider. Other communities have taken a multi-faceted long-term approach, considering their own needs with an eye on economic development. Capitalizing on unique opportunites can reduce costs, speed up a deployment, and allow the local community to better manage their projects. Will Alexandria Consider A Municipal Network? In the late 2000s, the city saw a deal with EarthLink to bring free municipal Wi-Fi and competitive service to consumers fall through when the CEO suddenly passed away. Then Verizon made a decision not to build any new FiOS networks as Alexandria was looking for a provider, leaving the city in the lurch. Wilson raised the possibility of conduit installation in Alexandria in preparation for fiber installation. The community will soon be updating sewers in parts of town. “America only has a few networks offering 1 Gigabit Broadband Services; it’s awesome that we have that technology here in our backyard,” Stated Scarlett McGrady with The Wired Road Authority. "Availability of technologies like this is vital for this area to grow," said McGrady. The network still offers fiber and wireless services at basic speeds to private and business customers in Carroll and Grayson Counties. The Wired Road encourages competitive rates for the region with its open access model. Lingo Networks, 1Point Communications, and LSNet all offer Internet access to Wired Road customers. For more on The Wired Road story, listen to Christopher interview McGrady in Episode 31 of the Broadband Bits Podcast. Congrats to the people and businesses in The Wired Road service area! The Star reports that the Roanoke City Council unanimously voted to work with surrounding communities to form a broadband coalition. 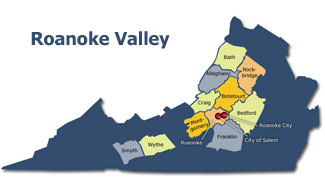 We reported Roanoke County, Botetourt County, Salem and the town of Roanoke were in the process forming the Roanoke Valley Broadband Authority. Local community leaders took the first step in Roanoke, where the community has already set $1 million aside for the venture. There is no time to waste in building a broadband Internet structure that will keep the Roanoke Valley competitive. Without it, the region will wither and watch futilely while others whiz by. They already are. The board will need to make many decisions with little time to tarry since the region’s capabilities are lagging. Businesses already are encountering hiccups when overloading the existing network. And other regions beckon with faster speeds. The Roanoke Valley is too large and well off economically to have qualified for federal funds and tobacco-relief funds that have brought broadband to rural and struggling areas in Southside and far Southwest Virginia. But it isn’t large enough to attract providers that would build bigger, better networks in order to compete for customers. The region has no choice but to build its own network. An authority charged specifically with that task should best be able to hire the experts and vet the options so that Roanoke Valley accelerates to warp speed. The Roanoke Valley, nestled in Virginia's Blue Ridge Mountains, grapples with the same connectivity problems facing many communities in rural Virginia. Private providers have few incentives to invest in next-generation Internet networks because the low density population promises too little profit. The Rockbridge Area Network Authority (RANA) is almost ready to launch its open access network in north central Virginia, home to about 22,000 people. A recipient of the BTOP stimulus program, the main focus is connecting community anchor institutions and spurring economic development. However, it has been built to allow service providers to also offer DSL to some residents in the area. Dan Grim, GIS Manager for Rockbridge County, and one of the driving forces behind the network was kind enough to walk us through the project. In early 2007, the cities of Buena Vista, Lexington, and the County joined forces to commission a study to determine the need for a county wide broadband network. The three jurisdictions matched funding from the state Department of Housing and Community Development to pay for the study, completed in 2008. Grim had already consulted with local provider, Rockbridge Global Village, about using a regional network to improve public safety mapping. Rockbridge Global Village President, Dusan Janjic, suggested a bigger project and that the three entities apply together for American Recovery and Reinvestment Act (ARRA) funding. Richard Peterson, Chief Technology Officer from nearby W&L determined that the school needed a new and updated data center. In 2009, RANA was officially formed as a collaboration between the local governments and Washington & Lee. The University joined the group and contributed $2.5 million toward a $3 million grant fund match. With the grant fund match to improve their chances, RANA applied for a $10 million BTOP award and received $6.9 million in funding through round two in 2010. Peterson passed away in 2011. Grim notes that without Peterson, the network would never have expanded so far and may not have become a reality. The data center was later named after him to honor his memory. Network construction started in February 2012. The Wired Road is an ambitious fiber optic and wireless project offering Internet access to several underserved areas in rural Virginia. For the 31st episode of our Community Broadband Bits Bits podcast, Scarlett McGrady joins me to discuss its history and impact on the region. McGrady is the Director of the Grant Community Computing Center [link to Facebook page], which providers a variety of services including computer literacy courses. The Wired Road has long had gigabit capacity for those who are within range of the fiber optic connections. Anyone who can take a service from the network has to choose a service provider as the network is a pure open access approach: the community-owned network does not offer any services directly to subscribers. Instead, the Wired Road builds the infrastructure to enable independent service providers to offer services. We discuss the Wired Road and the many ways that rural residents enjoy using the Internet to improve themselves and their businesses. You can find our previous stories about the Wired Road here. Listen to previous episodes here. You can download this Mp3 file directly here.